Very close to Cole-Park Plaza, Park-N-Ride, minutes to UNC/ downtown Chapel Hill & Carrboro. A must-see! MLS#2247980. 3509. Westbrook - This unique home won't last long! MLS#2248078. 4623. Garage apt has Living Room, Bedroom and full K. MLS#2247785. 351. 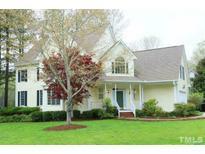 First Floor master, wine seller, walk up attic, hardwoods throughout, separate basement apartment & side entry garage. MLS#2247682. 150. Coker Hills - New roof, fully renovated kitchen, 2 car garage w/workshop & shed. MLS#2247744. 447. The Woods At Laurel Hill - Ample storage & climate-controlled wine cellar. City schools & county taxes! MLS#2247668. 48. On quiet, cul-de-sac street with excellent public schools and convenient location to UNC, Duke or RTP. MLS#2247688. 81. Cobble Ridge - Brick patio overlooks landscaped, private backyard. MLS#2246269. 2017. Oak Hollow - water heater in closet is propane - Newer washer & Dryer - included no value intended. Refrigerator included. MLS#2247602. 4300. Glendale - Wonderful investment for now; move in next summer! MLS#2247539. 3889. 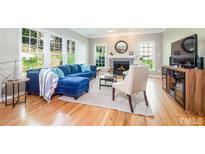 Sedgefield - Situated in Chapel Hill's premiere school district and minutes to Duke, UNC, RDU and I-40. MLS#2247513. 62. Second floor has an airy office with great light and storage galore. MLS#2247469. 5193. Ridgefield - THIS is why we love the 80's! MLS#2247574. 4620.